10 in the evening before my birthday, my dad arrived home and immediately told us to hop on the car. We thought about going to Tagaytay but it's already too late so we decided on MOA instead. It would really be convenient if I live near there, 'cause these days, it's like my second home already! So we walked along the bayside of the mall just before midnight and started our hunt for a restaurant that's still open. And Racks was the first one we saw, so inside we went! We weren't able to choose what ribs we want because this is the only one available that time. They said that it is good for 2 to 3 persons but we only ordered one even though there were 5 of us. We weren't really hungry that time, but it's my birthday! Hahaha. 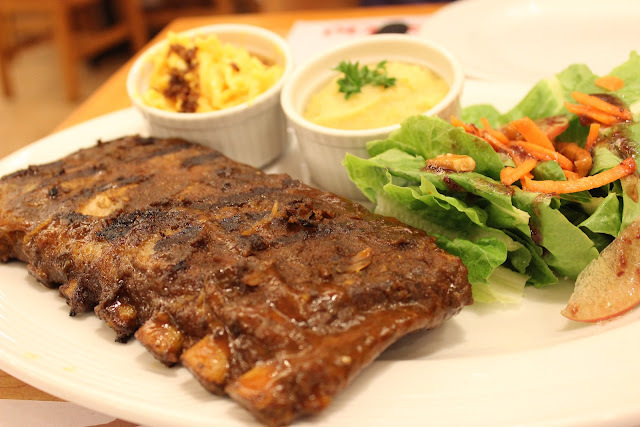 Anyway, those baby back ribs were cooked to perfection, well at least for me. My dad said it was a little overcooked. I think you can suggest how well you want your ribs to be done. But I like mine just like this, the meat easily falling down the bone with just a little tug of your teeth. It is actually already flavorful on its own. 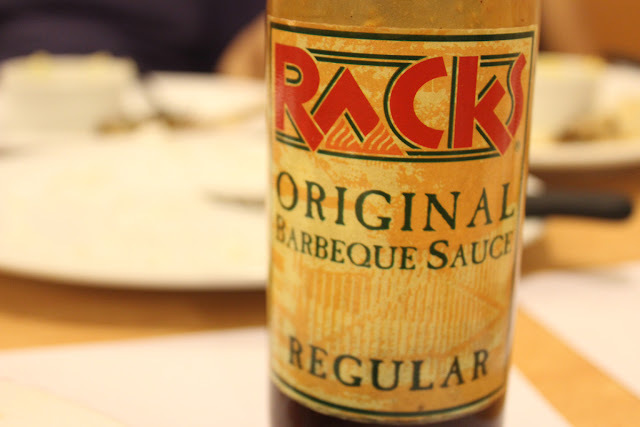 It has a hint of sweetness and spiciness but if you want a little more kick, they have their original barbecue sauce, regular and hot. 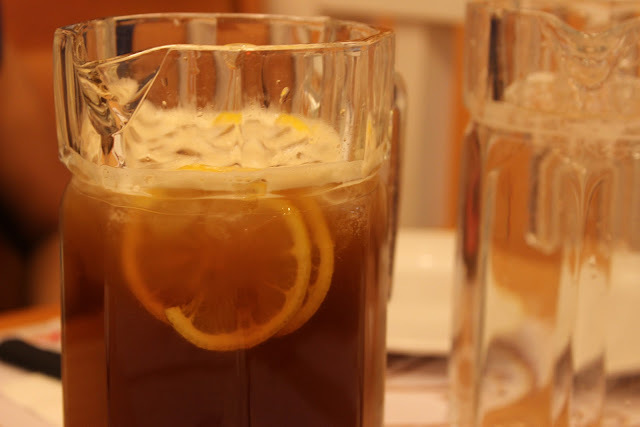 The sweetness of this iced tea overpowers the sourness of the lemon. And I love it like that. 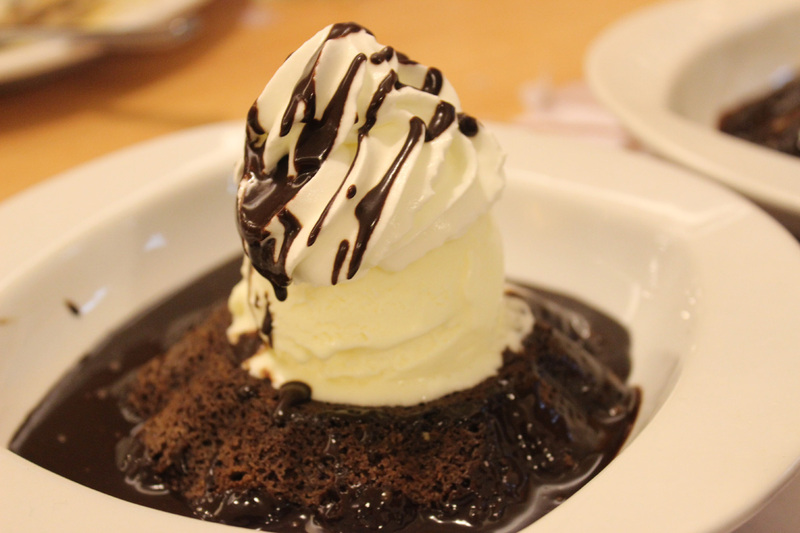 This mudpie consists of a moist chocolate cake swimming in a bowl of chocolate sauce. I really liked how the cake was crunchy on the outside and moist on the inside, not brownie moist though which I loved! It was topped with a generous scoop of ice cream, and whipped cream drizzled with the same chocolate sauce. I loved every bit of it but it was too big for my own consuming since we've already eaten so I'm glad I just shared it with my sister.